Sanissimo® Salmas™ Crafted from a simple recipe of ONLY four ingredients, where 97% is whole grain corn flour and the remaining ingredients maintain the delicious corn taste and light crisp texture. 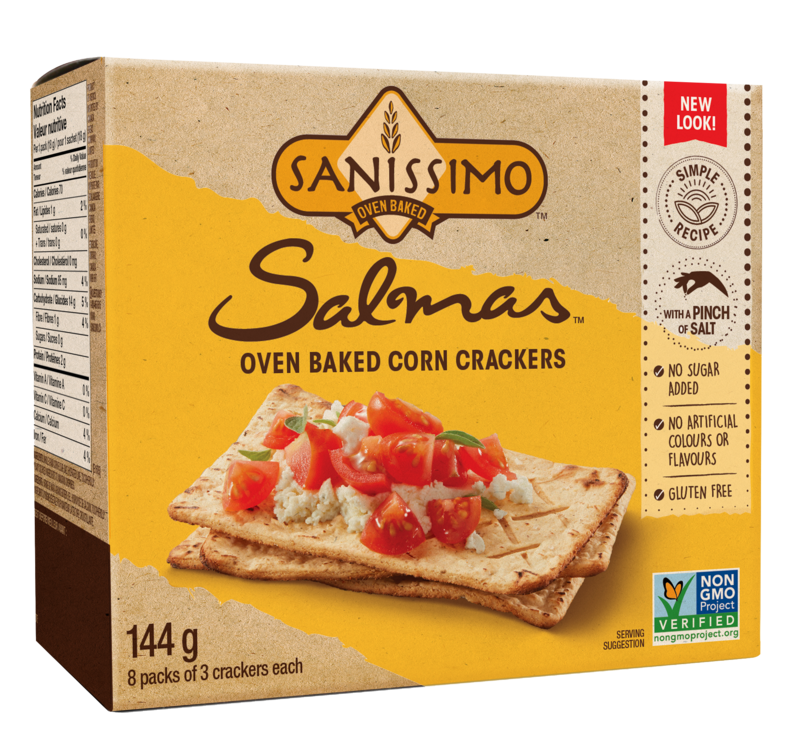 Sanissimo® Salmas™ come in a box of 8 convenient individual packages with 3 oven baked corn crackers in each package. With a satisfying crispy texture and lightly salted flavour, Salmas™ are a snack that tastes great, and allows you to Feel Sanissimo® Good™. Every effort is taken to ensure that the ingredients and nutritional information listed here is accurate, however, data may change from time to time. Please always check the package for the most current information. Please note some products may not be available in your area. Please check with your local retailor.